The carrot hadn't seen any friends for days since he was taken from the crisper. He was overjoyed to find another carrot, though oddly colored, so near to him. 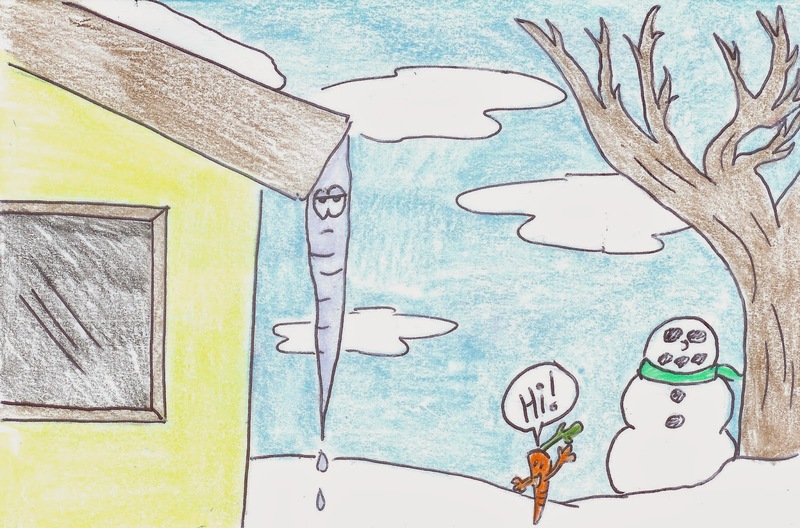 Unfortunately, the icicle was a real stuck up jackass and melted alone and bitter at the world, never making a connection to anyone else. Truly a life wasted.